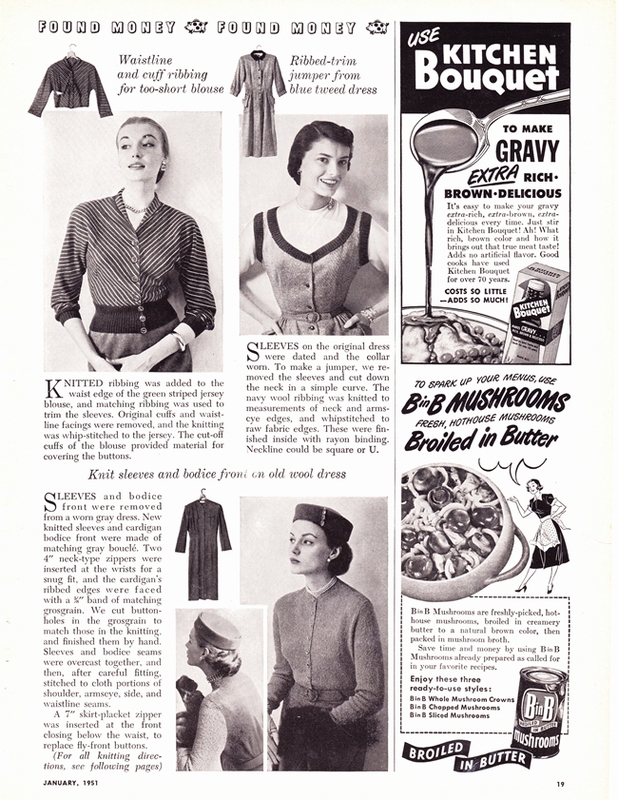 Make do and Mend didn't stop in the 1940s- any frugal lady knew how to spruce up an old garment. When I found this in one of my old magazines, I thought "How clever!" Great point! 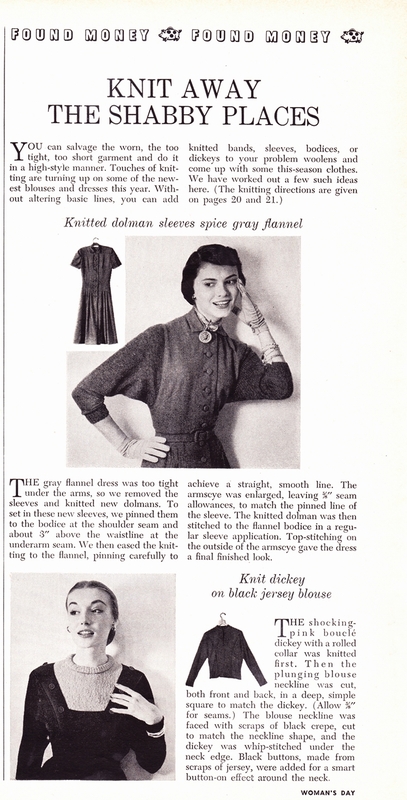 I've noticed that, too, in some 1950s magazines and books regarding the fact that the make do and mend mindset carried on from the 1940s (I'd argue that it started to disappear from the mid-60s onward - that is until us vintage loving ladies helped bring it back! :)). Wonderful, clever ideas - thank you very much for sharing. I love the make do and mend idea. I have some of those items I would love to refashion in my wardrobe, but if they remained as they are now I would just get rid of them. so they were re-fashioning clothes back then, too, huh?? that is cool!! What a great idea! Why have I never thought of that? 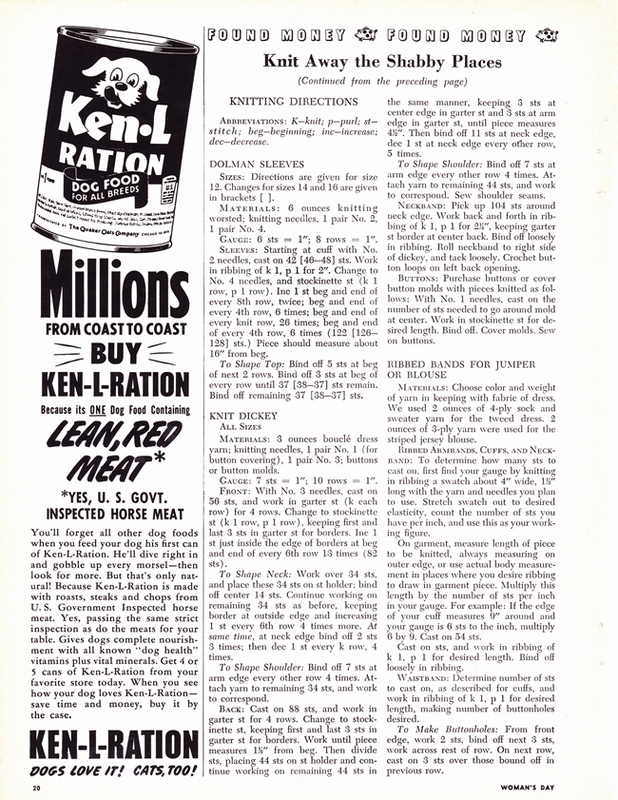 Make do and mend carried on very long in Europe, due the rationing. Perhaps people also got kind of used to it. Reminds me of my grandma mending socks, instead of rushing out to purchase new ones. I just found your blog and love it. Wow! This really makes me wish I could knit!